Greated, Marianne (2018) Our Sustainable Environment. Fine Art Renewables Project with India. 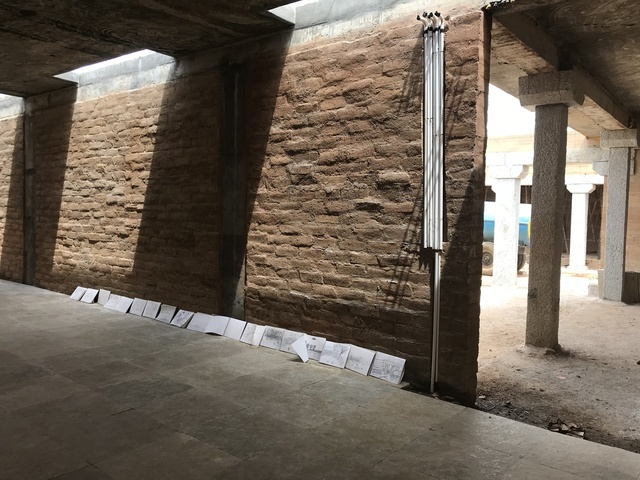 The workshop stemmed from the research project Fine Art Renewables with India by developing ideas from the project with local artists and students. The students explored the area around the centre to activate their awareness of the sustainable environment and to record the surroundings. 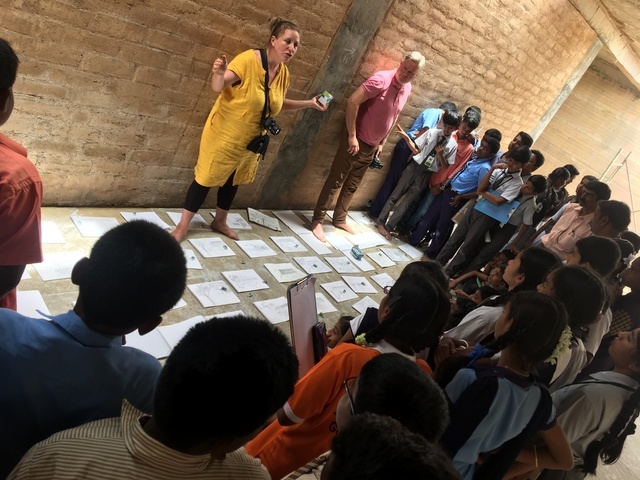 The workshop focussed on visual and sound research into the environment, asking the students to directly respond to their own surroundings, examining it both visually and soncially. They worked with various art processes including small and large scale drawing, printmaking and sound workshops. There were also site visits including to a large solar power plant in the area giving direct access and information about renewables projects within their environment. Seven local colleges and schools (government and private) took part in the workshop with five tutors and sixty-five students participating. The workshop was based in the science and research centre, Dr H.N.S.Centre located in a rural area outside Gauribidanur in South India. The project culminated in a large public exhibition of student work in the Cultural Museum in Gauribidanur.